Kristopher J. Preacher, Ph.D., is Professor in the Quantitative Methods program in the Department of Psychology and Human Development at Vanderbilt University. His research concentrates on latent variable models and multilevel analysis, with an emphasis on longitudinal models, mediation, and moderation. Particular research areas of interest include exploring the interface between multilevel regression and structural equation modeling, and developing methods for testing mediation and interaction effects in multilevel data. His work has appeared in Psychological Methods, Multivariate Behavioral Research, Behavior Research Methods, Journal of Educational and Behavioral Statistics, Structural Equation Modeling, and the British Journal of Mathematical and Statistical Psychology. He is an author of Latent Growth Curve Modeling (2008, Sage) and he serves on the editorial boards of Psychological Methods, Multivariate Behavioral Research, and Communication Methods & Measures. Preacher is the recipient of several prestigious awards including the Distinguished Scientific Award for Early Career Contribution to Psychology (2013) awarded by the American Psychological Association (APA); the Raymond B. Cattell Award for Outstanding Early-Career Contributions to Multivariate Experimental Psychology (2008) awarded by the Society of Multivariate Experimental Psychology; and the Anne Anastasi Early Career Award (2008) awarded by the American Psychological Association Division 5: Evaluation, Measurement, & Statistics. 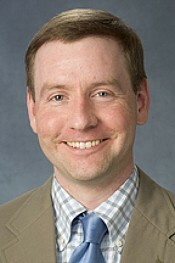 He also serves on the editorial board of the Journal of Educational and Behavioral Statistics. At Vanderbilt University, he teaches graduate-level courses on Multilevel Modeling and Factor Analysis. You can visit his personal webpage by clicking here.